charging for all types of EVs. Each Electric Forecourt will have dedicated zones for both private and fleet vehicles, such as taxis, buses, delivery vehicles and heavy goods vehicles, and offer a new and compelling customer-focussed charging experience. It will take less than 30-minutes to charge most vehicles, and during this time drivers will be able to take advantage of a range of facilities including a coffee shop, fresh food, convenience supermarket, and airport-style lounge with high-speed internet, which will also serve as an education centre and hub to explore a broad range of electric vehicle solutions. 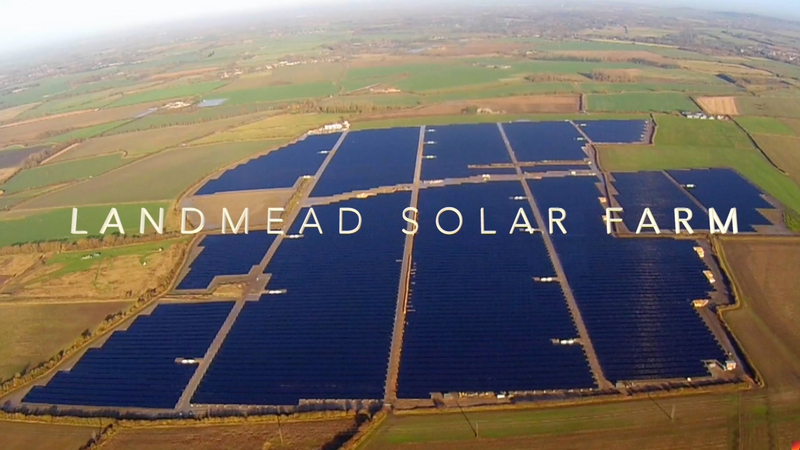 Gridserve's £1 billion ($1.3 billion) programme, which the government promoted in the UK's first Energy Investment Portfolio, involves the company building new solar farms to supply the Electric Forecourts with clean, low cost energy, and installing multi-megawatt batteries to provide grid services that support the rapid uptake of EVs and additional renewable energy capacity. Construction is scheduled to start on the first sites later this year including at York and Hull, where Gridserve is building the UK's most advanced solar farms. “Within five years we plan to have more than 100 Electric Forecourts in use, with each supported by solar energy and battery storage. This infrastructure will accelerate the electric vehicle revolution, serve the grid, and help the UK meet climate and clean air targets. We are partnering with operators of fleet vehicles, developers, financiers of vehicles and infrastructure, EV manufacturers, retailers, local authorities, and others who share our vision,” he added. At the Electric Forecourts, each vehicle will be able to charge at the fastest power it can support, with an ultimate rate of 500kW for cars and light commercial vehicles - the world's fastest - offering less than 10-minute charge times. There will also be multi-MW charging options for buses and heavy goods vehicles. Gridserve is investing in grid infrastructure and new solar energy capacity to be able to deliver dependable, clean, low-cost energy that materially improves the business case for electric vehicles. Typical configuration includes up to 24 ultra-fast charging bays, with batteries to support the maximum power requirements of all chargers simultaneously. A new queuing system will also minimise waiting times, and allow customers to be able to reserve charging slots in advance. Gridserve is also developing an App to support the driver experience at each Electric Forecourt which will help people to plan journeys better, reserve charging slots, and pay for ancillary on-site services such as car washing. The App will also play a central role in loyalty and referral schemes that will reward people with Road Miles for using onsite services provided by Gridserve and its partners. Gridserve has assembled world-class partners to participate in the delivery and operation of the Electric Forecourts, including ChargePoint Inc., which operates the world's largest EV charging network. Gridserve has already secured 80 Electric Forecourt sites on busy routes, near powerful grid connections close to towns, cities, and major transport hubs. Location permitting, the company will also build new solar farms adjacent to Electric Forecourts which will supply their electricity directly.